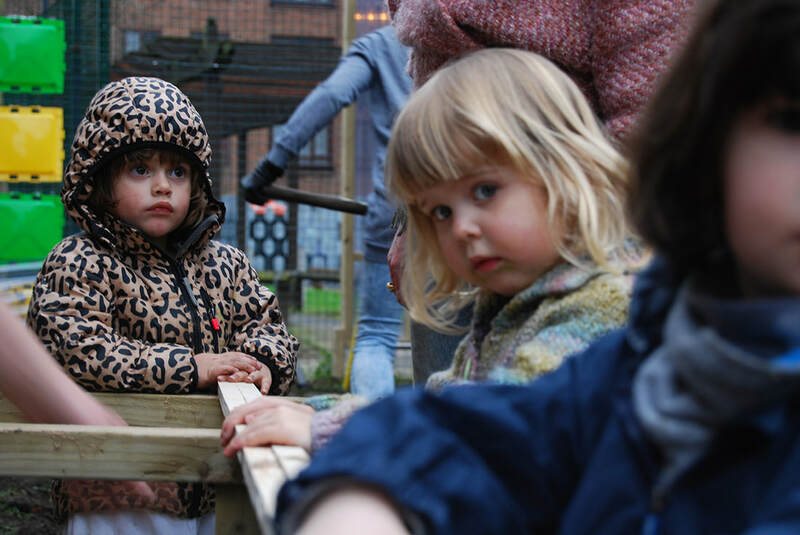 Grasshoppers are an inspiring parent led nursery in Hackney, East London. 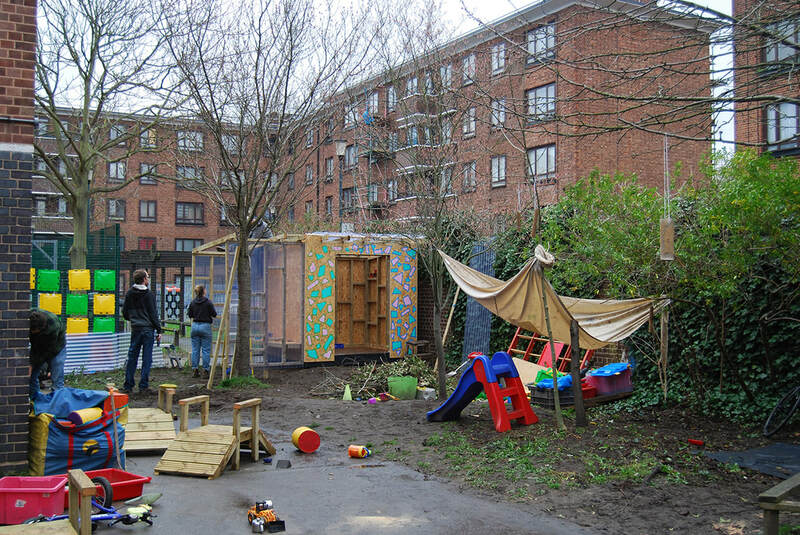 They believe in providing an environment focused around free play and engagement with nature. 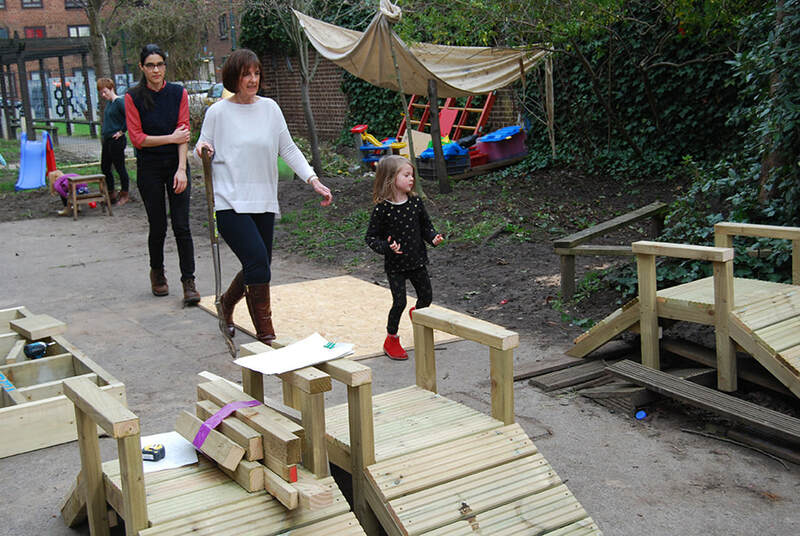 Parents and carers are involved in the decisions and daily running of the nursery. 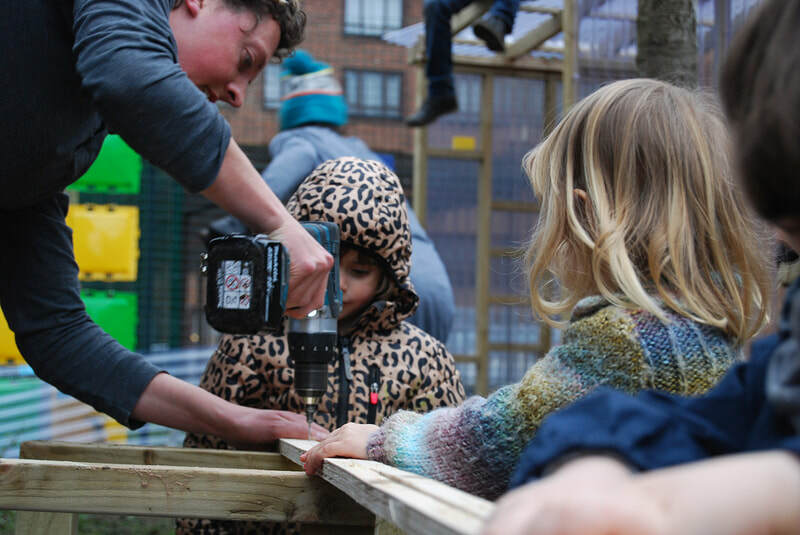 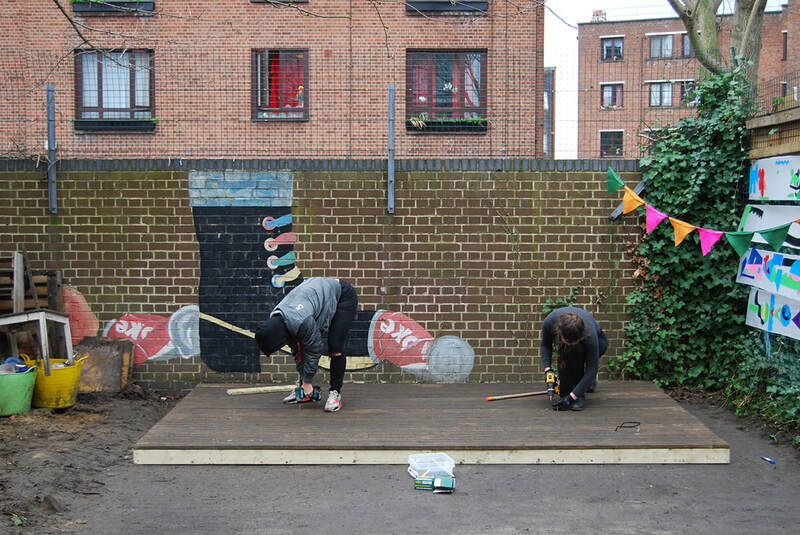 We worked with them and the kids at the nursery to explore, design and then build a new environment in the outdoor space. 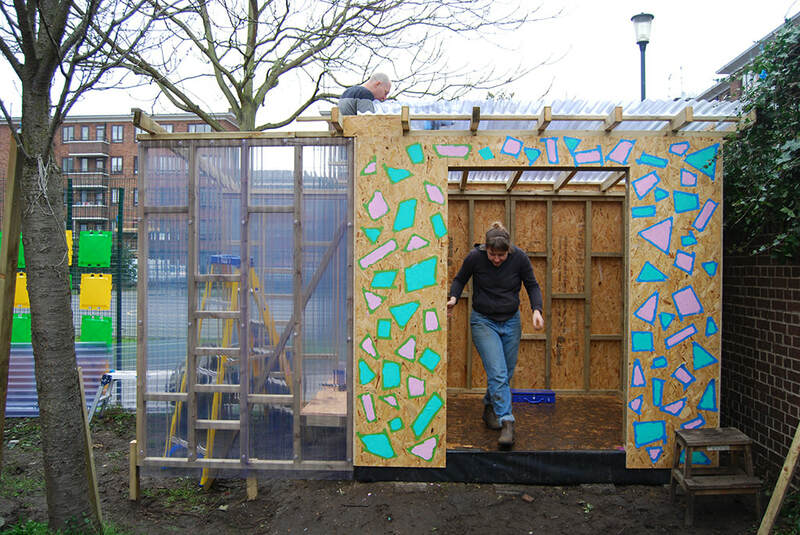 This includes a new play space constructed around a tree to climb and crawl through, colourful vinyl shapes that decorate the fencing, a buggy park, shed and new decking. 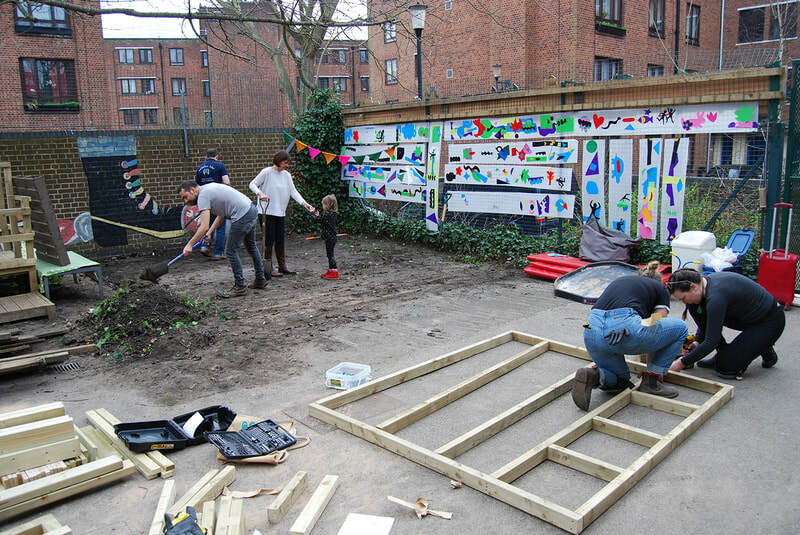 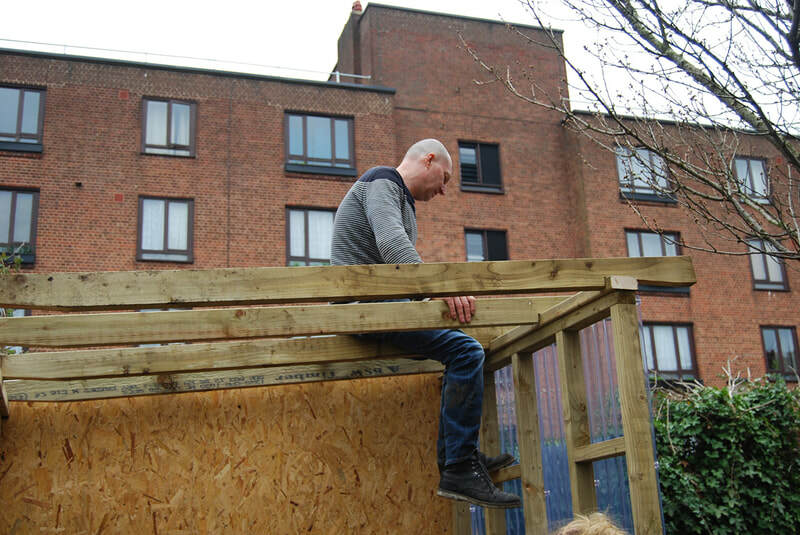 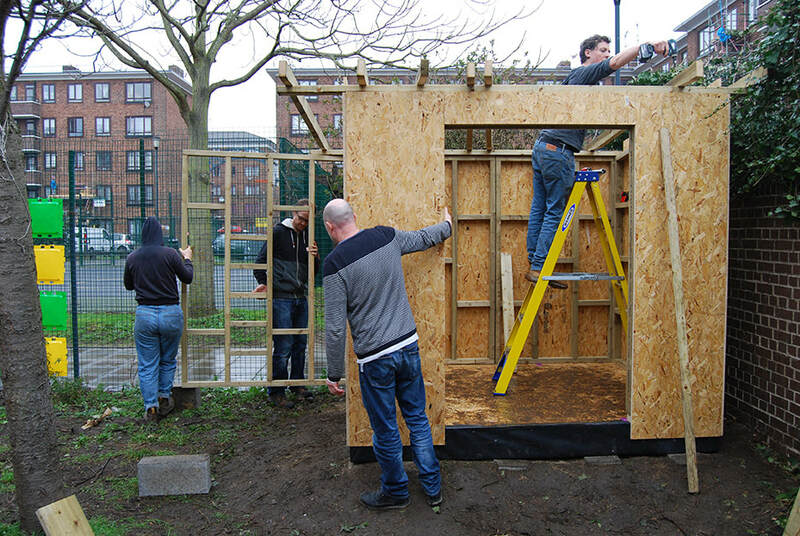 We constructed the new outdoors space over a weekend, with parents and carers, kids, and co-db all involved. 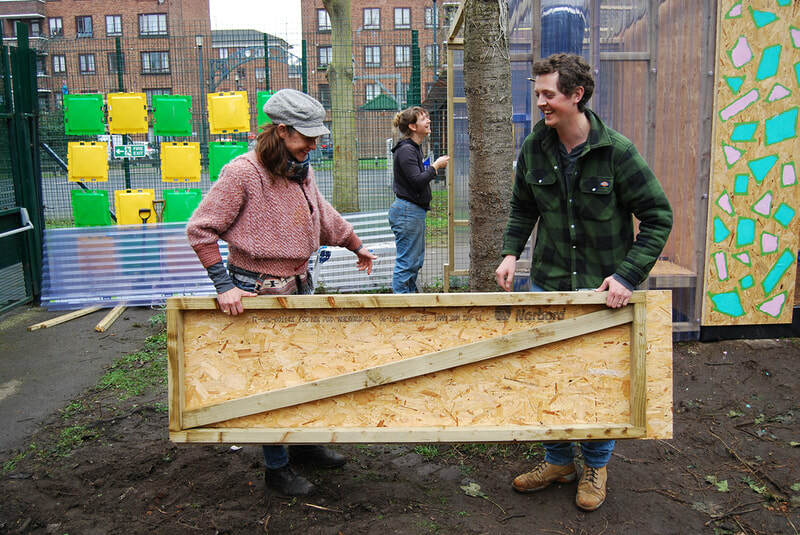 ​Find out more about Grasshoppers here!